Servers are a mission critical part of the business world and often contain some of the most valuable information. In order to better protect your business information and server performance, we’ve introduced PC Matic Pro Server Security. Server Security comes with several new features and abilities that we believe are critical in the quest to keep servers protected. We understand that your servers are often the vessel for your most valuable information which needs to be kept secure from malware and physical theft. With Device Control, you can easily disable removable storage capabilities to thwart potential malicious actors from stealing files right inside your building. Making sure your server is always online for you or your customers is vital to business. If your server goes offline for any reason we’ll immediately notify you over SMS or Email. Customize your server alerts to be notified when it goes offline or comes online to stay aware of the status of a problem your team may be working to fix. Server maintenance will cause alerts to kick off faster than you can check them; silence those alerts while you’re performing scheduled maintenance. Servers can be the lifeblood of your business, with priority analysis any unknown applications stopped from running will receive categorization from our team within an hour. We give servers preferential treatment over other endpoints to ensure that applications that need to be run will be whitelisted swiftly. Having a product that is capable of protecting a server is very important, but it can’t also cause interruptions or harm to business operations. We have specifically engineered server security to keep servers secure and running properly. To find out more information, click here PC Matic Pro Server Security or contact your PC Matic Pro Authorized Reseller. 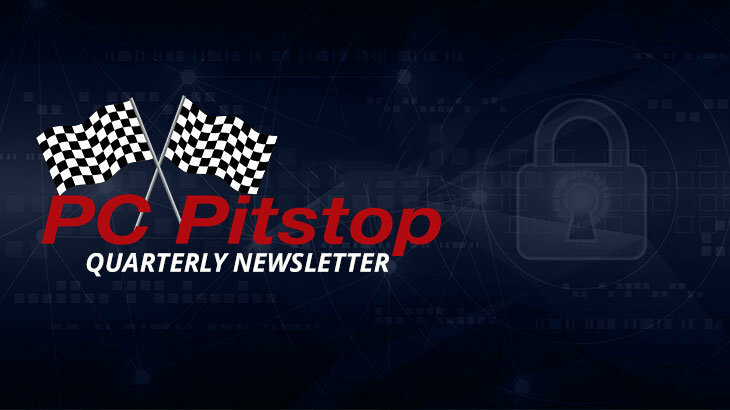 To view the full PC Pitstop Q4 Newsletter, click here. Q4 2017 Newsletter, The Pit Blog. permalink. I do not have a server device, which I assume means a central equipment containing software that gets used by other connected devices. I do have a network with a couple of new powerful computers and a couple of older computers connected. There is also a “Buffalo” storage device that is used for preserving back-up files that were created on one or more of the connected computers. Programs are not operated by or even backed up on the “Buffalo” device. The new computers are Windows 10 Professional driven, while the older computers have Windows 7 Professional driven. Most computers are HP models. Note that HP’s “Smart Friends” advised that I not add or install any security software as it was not needed. The McAfee software that came on the new HP computers has lapsed and was not renewed as advised by HP’s “Smart Friends”. If I install a version of PC-Matic, then I want the best version offered. However, the version that seems to be designed for a system with a centralized server does not seem to be what is needed or best for my non-server network using individually powered and operated computers. Don’t worry William, the protection offered in all PC Matic products is the same. However with our server specific licenses there are special considerations made for server operations in other areas. You’ll always have the best security with PC Matic. PCmatic software has been the greatest innovation since laptop computers were born. I have had not one disruption in my security service from PCmatic. Thank You PCmatic!!! Awesome to hear Arthur! Thank you for your feedback.